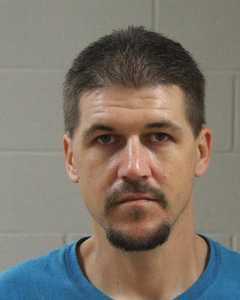 WASHINGTON COUNTY – The Washington County Drug Task Force nabbed a 34-year-old alleged heroin dealer Wednesday on three counts of drug distribution and one count of drug possession. The task force conducted a narcotics distribution investigation into Jeremy Kelly Draney, of LaVerkin, task force Detective Travis Hall said in a probable cause statement supporting the arrest. During the course of the investigation, the task force conducted a controlled buy of heroin on three separate occasions in December 2014 in a nondisclosed location through the use of a confidential informant who purchased heroin from Draney, the statement said. Hall had been trying to find Draney to arrest him on the drug charges, he said in the statement, and was finally able to locate him when he spotted him driving on Wednesday. A traffic stop was initiated and Draney was placed under arrest. While searching Draney, detectives located a small brown tar-like substance in his front coin pocket which tested positive for heroin, Hall said in the statement. Draney was booked into the Washington County Purgatory Correctional Facility. He was charged with three second-degree felonies for drug distribution, and a third-degree felony for drug possession. His bail for release pending trial was set at $35,000. Draney made his initial court appearance Friday and is scheduled to make his next court appearance on Feb. 17. According to booking information, he is currently released on bail. Good get these dam dealers off the street. That is a horrible drug and ruins lives.